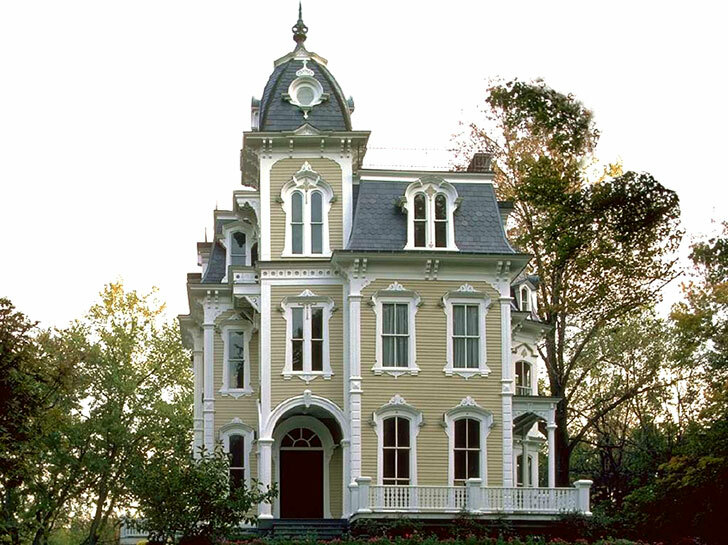 This architectural style originated in France and was popular during the late 19th century. 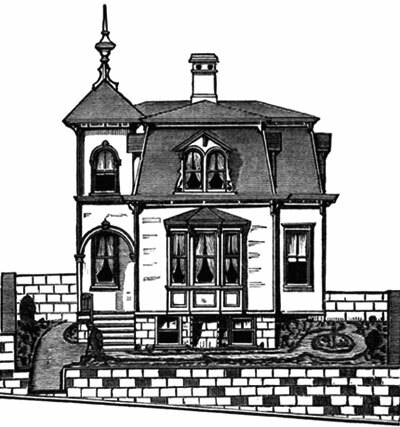 These Second Empire French house plans from 1878 were designed for a cottage with a Mansard or French roof. The sketches also outline the grounds immediately surrounding. The site faces a street having steep grades. The grounds are raised above the sidewalk and leveled in front, and are faced with stonework from 2 feet high at left to 6 feet high at the right. The rear grounds are 6 feet higher than those in front. The step at the entrance is 8 inches above the sidewalk. The walk leads from the step to the rear and the banks at either side are terraced, and have stone steps inserted in them leading to the foot of the porch steps and cellar entrance. The French roof style is well adapted to this plan because of its rounded and solid appearance. The irregularities of the outline highlight the picturesqueness of French cottage design. The Foundation is 4 feet above ground in front, and 1 foot in the rear. The Porch is in an angle, and the second story extending over it is carried up vertically past the slated part of the main roof, forming a tower-like corner. This corner is largely supported by a single column, and to make it as light as possible, slating of this portion is omitted. Slate weighs 500 lbs. per square while tin weighs 50 lbs. Four windows are placed where they give light to every part. An outside door opens to the area, the latter being covered by the front porch. The front portion of this cellar can easily be finished off for a workroom or summer kitchen. Height of the ceiling is 10 feet. 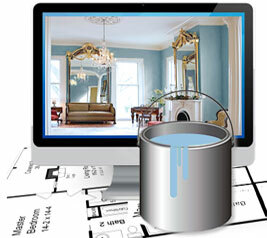 The floor plan is convenient, comprising a hall, parlor, dining room, and kitchen. The main entrance leads from the right of the porch, and the hall runs parallel with the front. Many prefer the entrance arranged in this way as the contents of the hall are not exposed to the street whenever the doors are opened or left ajar. A partition crosses the hall under the platform adjoining the cylinder forming a rear passage leading from the kitchen to the cellar stairs. The Parlor has a large bay window in front with a marble mantle directly opposite. The Dining Room and Kitchen each have windows giving views in three directions. The small wing at the rear contains a good-sized pantry, closet, and the rear entrance or Lobby. Height of the ceiling is 9 feet. The divisions include a hall, three large chambers, a bedroom, and three closets. All parts are well lighted. Ventilating registers are placed in the center of each chamber ceiling.